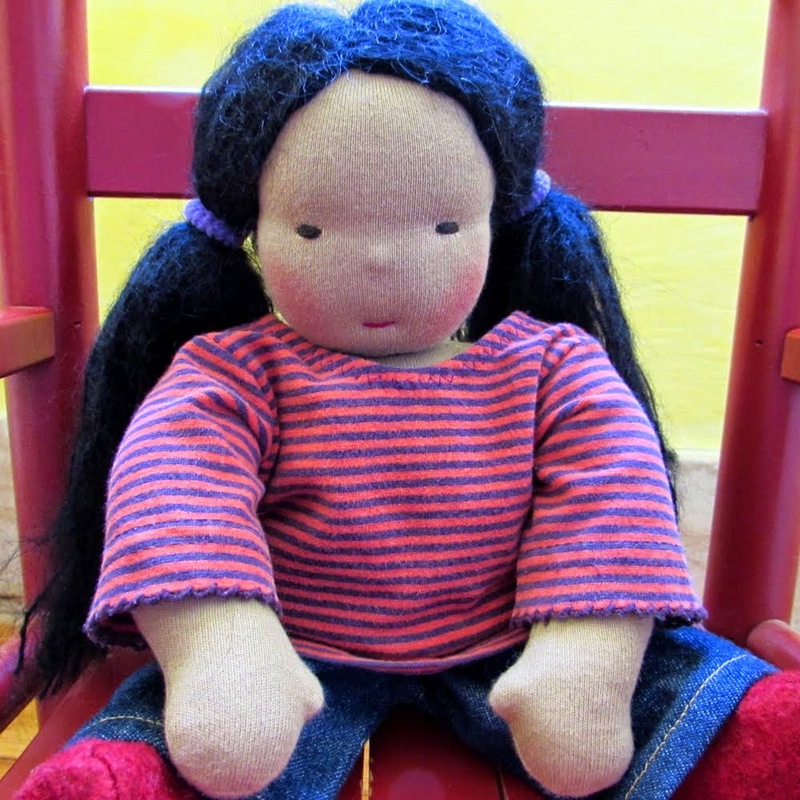 germandolls: Where to find that fabric? Help! Where to find that fabric? Help! What do you call a person who is totally addicted to fabric? Fabroholic? Fiberholic? Clothaddict? I know there are a lot of us. At times the addiction gets so bad that we get depressed over a piece of fabric that is totally precious to us because we ran out of it. We mourn over the last few inches as we cut into them. Sigh! Sniffle. But you may speak freely here and confess to me. I understand! Or even worse than running out of a certain kind is this situation: Have you ever gone to a quilt fair and bought the most lovely piece of cloth? You bought just a fat quarter, because really you shouldn't have bought this fabric to begin with, since you spent too much money already...But then you came home, and you looked at the fabric, and admired it. It started to really grow on you. Next thing you knew, you were really sad because you began thinking that this was the prettiest fabric you ever set your eyes on. Oh the things you could make with this kind of fabric. If only you had more of it. Soon you started looking at the selvage line, frantically searching for the designer. NADA. It just so happened that the fabric was cut in a fashion that you ended up with a piece that didn't carry that sort of information. Wahhhhh. What to do now? I am posting a picture of such a fabric here. It is pink and has the heads of roses. The roses have a silvery shimmer to them, they look kind of frosted. The roses are arranged in rows. 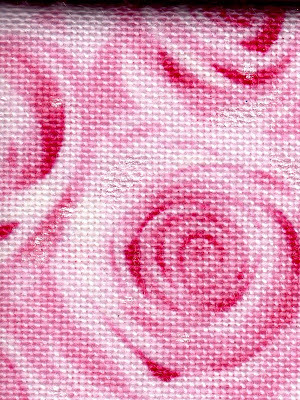 I used the this fabric as a background for my current Valentine's Day blogbanner. I am posting this in the hope that somebody may see it and maybe know who designed and printed the fabric. If you have yardage of this fabric I'd buy it from you. Make me an offer! I want that fabric!!! Please, pretty please help me out here! I love this fabric and cannot find it anywhere. Maybe you know of ways to find a fabric. I searched the internet high and low. I even found a website called MissingFabrics and tried to post a picture there. I failed. Must try again. Tell us more about the cat fabric! Maybe we can find it again...Have you looked on the site of Missing Fabrics? You're not alone!! Actually I have an enormous stash because I can't stand running out of a fabric I like... infact I will keep several metres of it to be sure that I won't be the victim of 'too little for that project'. If I know it is a problem, then do I really need help? Good Luck on your quest! I have not received any clues to my fabric yet. So sad...I wish I knew the designere at least.